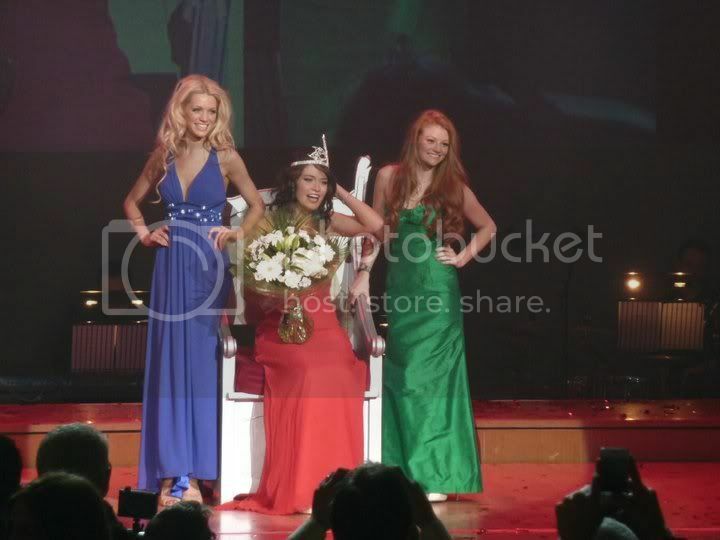 Jennifer Reoch, a 22 year old beauty from Glasgow was crowned as the new Miss Scotland 2011 during a pageant held on June 2 at the Royal Concert Hall in Glasgow. She was crowned by Miss Scotland 2010, Nicola Mimnagh. Standing 1.80m tall, Jennifer Reoch is currently a student of Law. Aside from her title, she won £10,000, a car and a modelling contract. “This is the most wonderful moment of my entire life. I’m thrilled beyond words. I can’t believe it. This is like a dream come true. I can’t believe it’s me, I’m so overwhelmed and excited. I’ll work hard to do Scotland proud,” Jennifer Reoch speech after crowning. The 1st run-up was Sara McLean and the 2nd run-up was Layla Ferguson. Jennifer Reoch will represent Scotland in Miss World 2011 beauty contest on November 6 in London, UK.